On any given Tuesday, you can catch Aubrey Chapman surrounded by a group of laughing volunteers with their undivided attention. This kid is full of character and he is definitely not afraid to show it! 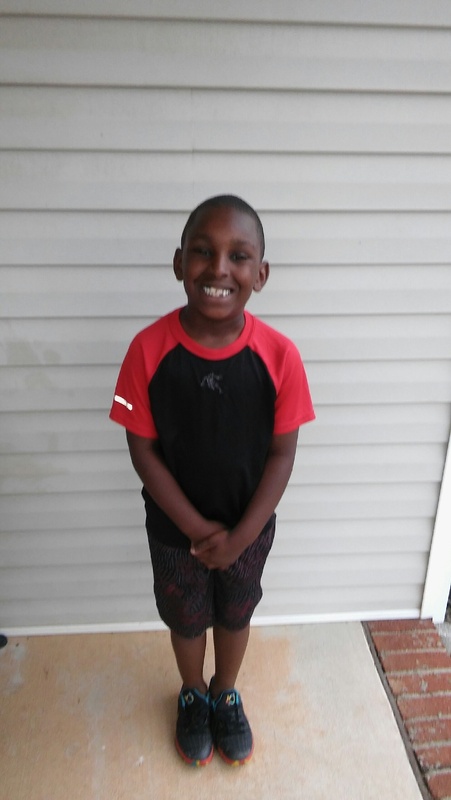 Aubrey is finishing up his 1st grade year at Fuller Elementary and is looking forward to taking 2nd grade by storm! Aubrey loves to read and tell stories. He is also a master on the monkey bars! Aubrey really enjoys hanging out with Mr. Matt, one of our long time volunteers in the Children’s Program. Generally if you see Mr. Matt, Aubrey isn’t far behind him. Aubrey comes to StepUp with his mother, Lashya Sutton, and little sister, Briahana, who is in our little steps program. The three of them are currently in Phase 4, so they will be graduating in June. It has been a joy to get to know this awesome kid and watch him grow and develop over the last year!